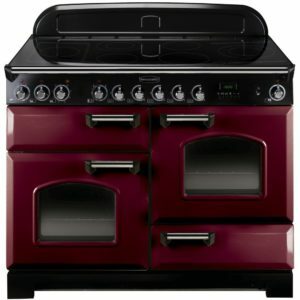 Proudly made in Britain! 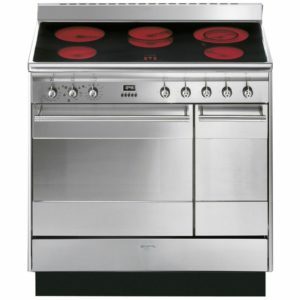 The Kitchener was first launched nearly 2 centuries ago and it’s still one of Rangemaster’s most popular models today. 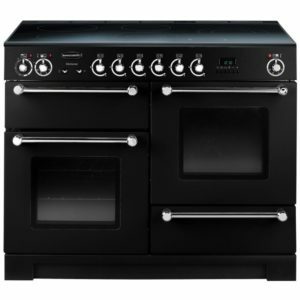 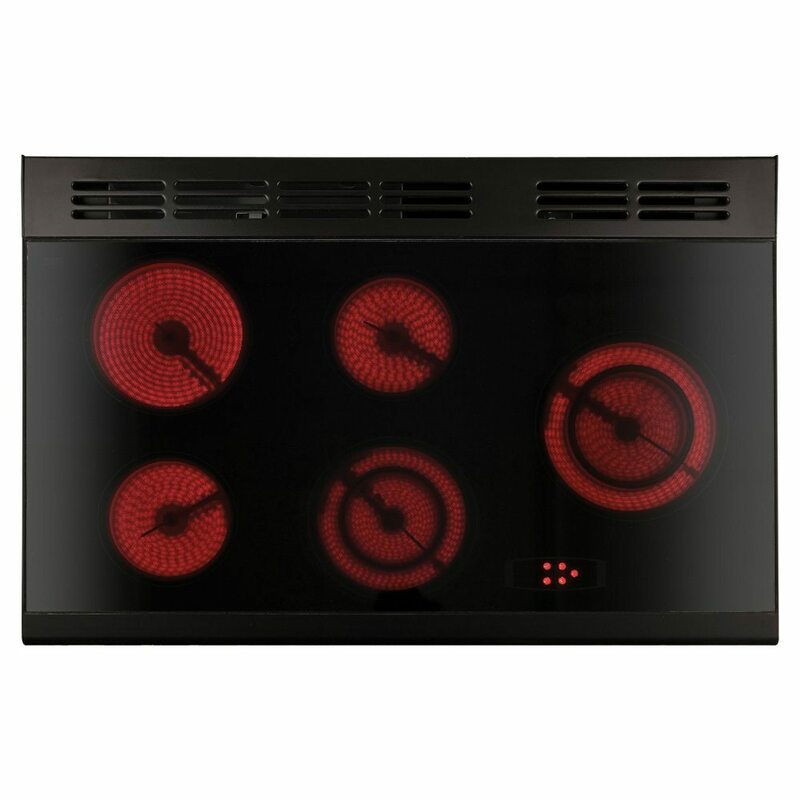 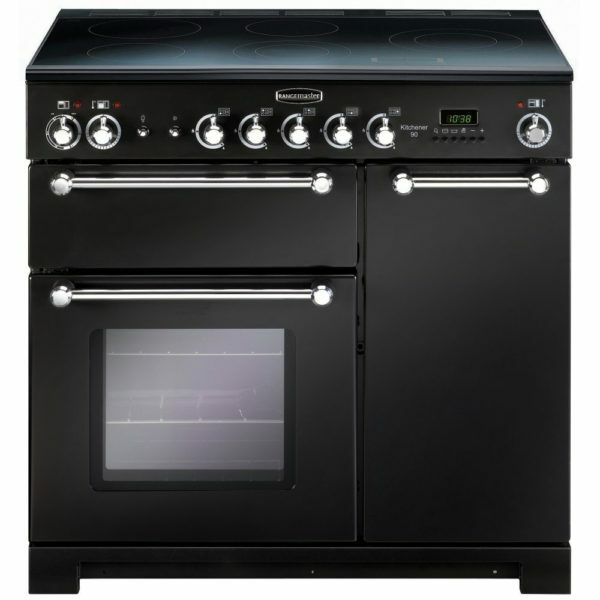 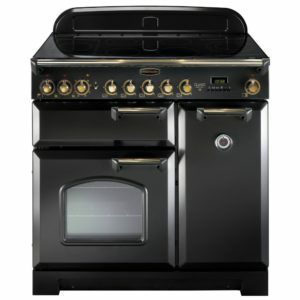 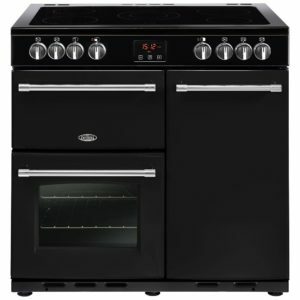 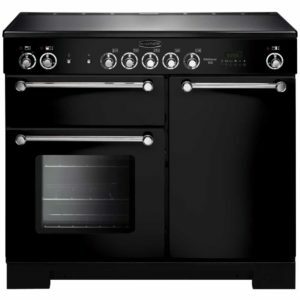 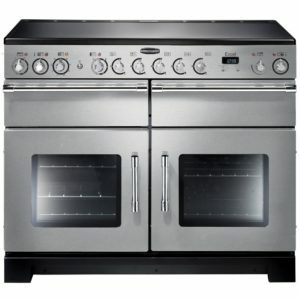 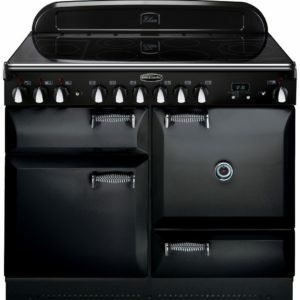 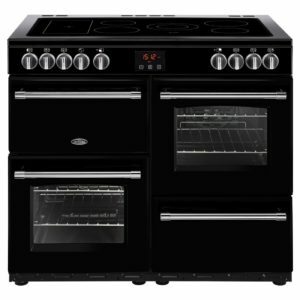 This striking gloss black ceramic range cooker offers two electric fan ovens, a five zone ceramic hob and a separate electric grill, so there’s plenty of room to cook for all the family. 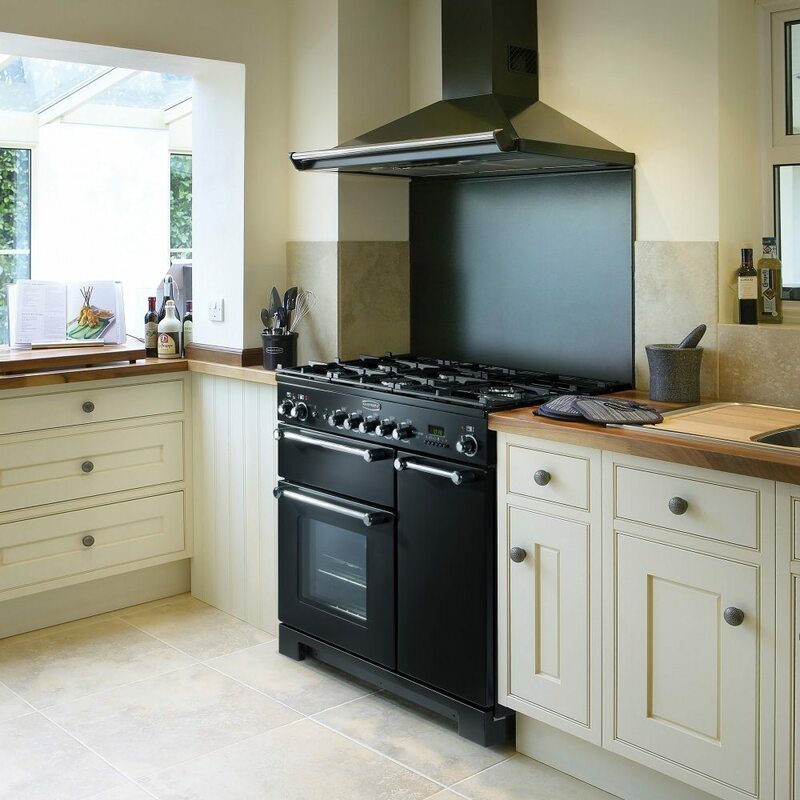 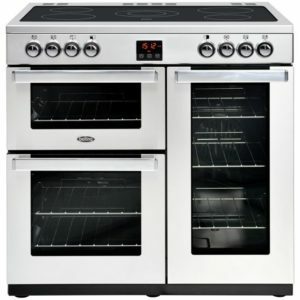 If Sunday dinners are your speciality, then you’ll love the HandyRack located on the inside of the oven door, which gives you easy access to check and tend to your roasts. 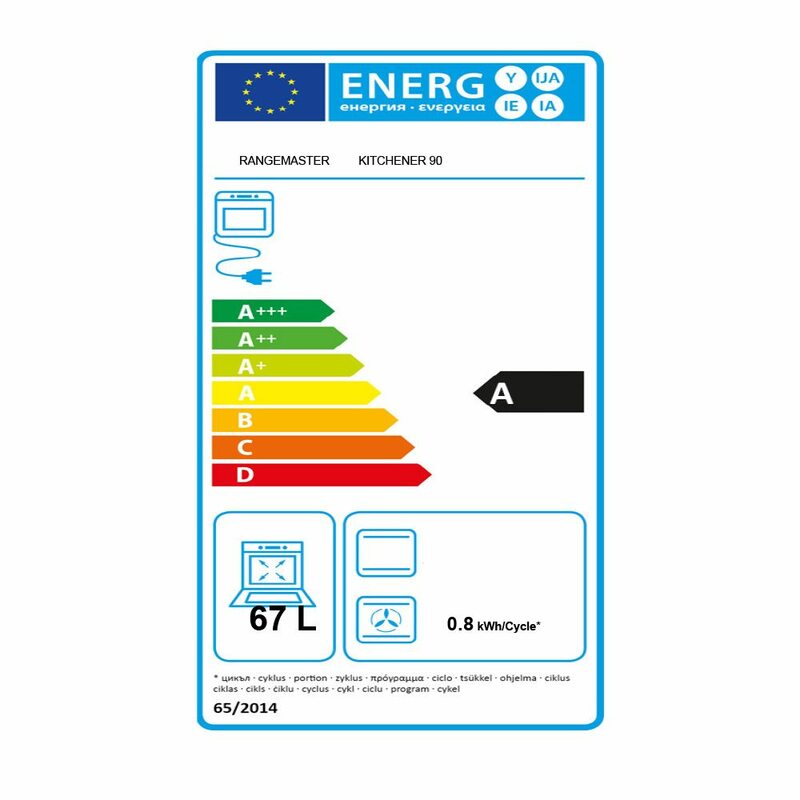 Plus, with the A energy efficiency rating and the two year parts and labour warranty as standard, the KCH90ECBL/C will save you money and give you peace of mind at the same time.